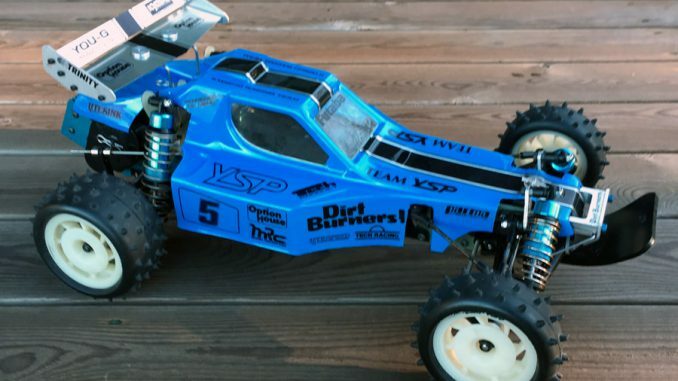 After having collected Optima hop-ups for some time, I decided it was time to build a vintage racer. 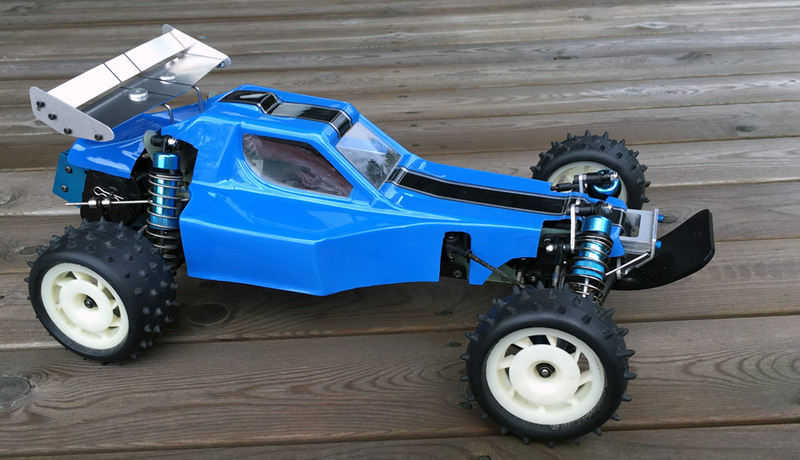 The Kyosho Optima must be my absolute favorite vintage buggy, and this was a build I really was looking forward to. Here I have just started the assembly of the car, and so far I have used the following parts; The official Optima belt conversion kit, with a Parma one-way front “diff”, a pair of Dirt Burners! 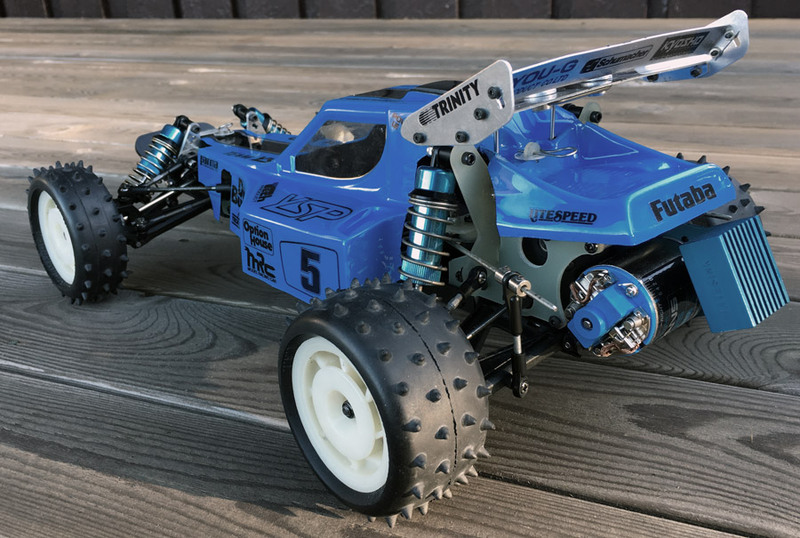 extra strong chassis rails, Dirt Burners! fiber glass front side plates, the latest “thick” version of the Optima front bumper support plate and a LiteSpeed LiteSink motor plate with integrated heat sink. I was originally told that the fiberglass front plates were Parma, but having investigated that, I now believe they are from the Japanese Dirt Burners! brand, that sold parts by Parma (among many others). These plates I no longer believe originated from Parma, but rather from one of Dirt Burners! Japanese sources. 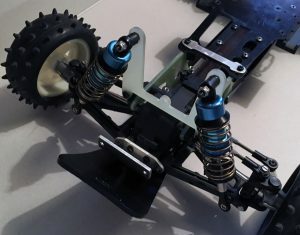 Rolling chassis with MRC wheels and Schumacher tires. The Parma front tower was too tall, so I dropped it, in favor of a Turbo Optima tower. I was planning to use a full set of Andy’s A-arms for this build, but discovered to my surprise that those arms didn’t have mounting holes for sway bars. That was a deal-breaker, so I decided on using late Optima arms instead. I did use the Andy’s nylon steering hubs, though. Here I have also mounted a YSP front bumper, as well as a YSP under guard. The Parma rear sway bar is also in place. The rear shock tower is a Parma fiber glass tower, and I tried mounting a Parma front tower as well. The front tower was way too tall for my liking, taking away too much of that classic Optima look, so I decided against using it, and went for the Turbo Optima tower instead. The shocks are from Tech Racing. There are also Dirt Burners! adjustable steering linkage, as well as front and rear camber adjusters. The radio/tech plate is a standard Optima plate. There are UJ’s all around, a pair of Trinity and a pair of Kyosho Option House. Wheels are vintage MRC nylon wheels (no, not the Tamiya MRC from the US, but the French MRC who made the Santana etc.). These wheels are very strong, in my experience far stronger than the standard Kyosho wheels. They are however all the same, so on the right side of the car, the “fins” are slanted backwards (as they should), but on the left side they are slanted forwards. This seriously triggers my OCD. These wheels were very popular in Norway for the Optimas and the Mids (and Tamiya Avante etc), as they were availible in many colours, and were half the price of original Kyosho or Tamiya wheels. The tires are old Schumacher CAT tires. There is a Turbo Optima OT-74 (spring version) limiter gear in the rear gear box. Body painted, but no decals, yet. 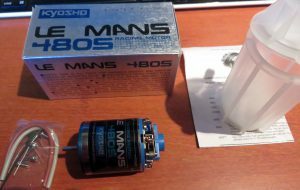 Guillaume helped me find a NIB LeMans 480S motor. 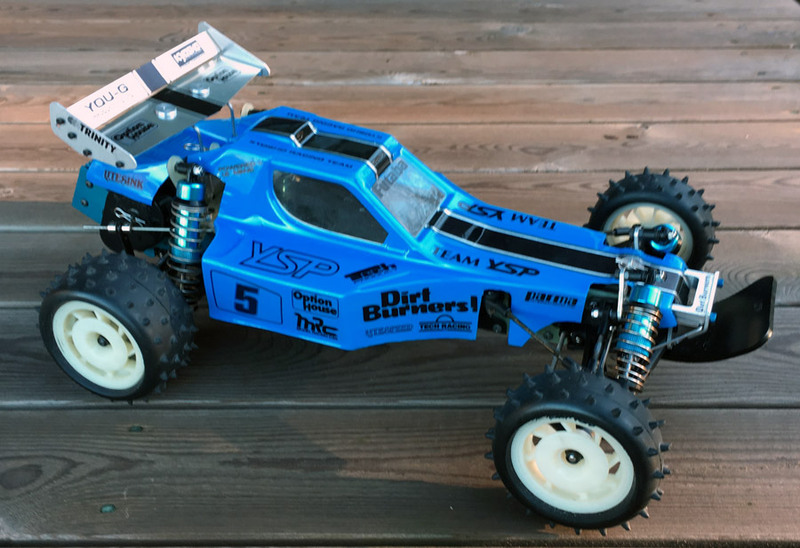 Since I had decided on a blue “theme” for this build, there really was just one option for a motor, and that was of course the Kyosho LeMans 480S. This was one of the few LeMans motors I didn’t have, but with some help form my friend Guillaume, I managed to get hold of a NIB. Up front there are some extra links, adding a second anchor point, basically converting the upper part of the suspension into an A-arm. This makes the front suspension a lot more sturdy, with absolutely no slop at all. This was a kit from Parma, but when I built this car I didn’t have that kit, so I had to make my own. Later I got my hands on such a kit, but I will probably use that on another build. You don’t see these very often, but must be one of the most useful hop-ups for the Optima. It’s a big difference with or without this mod. The decals I printed myself, trying to keep a clean look by only using black. I think they turned out great. I still need to mount the electrics. There is bit strange lighting in some of these pics, as they were taken at a time of year when we don’t have much light here, way up north above the Polar Circle. That’s way the colors are a bit off. I still need to mount the electronics, wire the motor and do some detailing on the body. 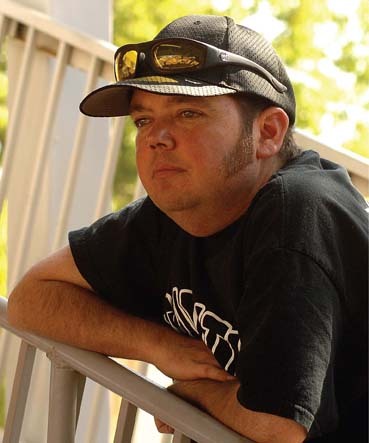 Thanks Tom for the credit in the article, I feel like I had a small contribution to that build!